How to extend WiFi range within your property - WiFi signal extenders. Looking to extend broadband WiFi range within your property? We can help! 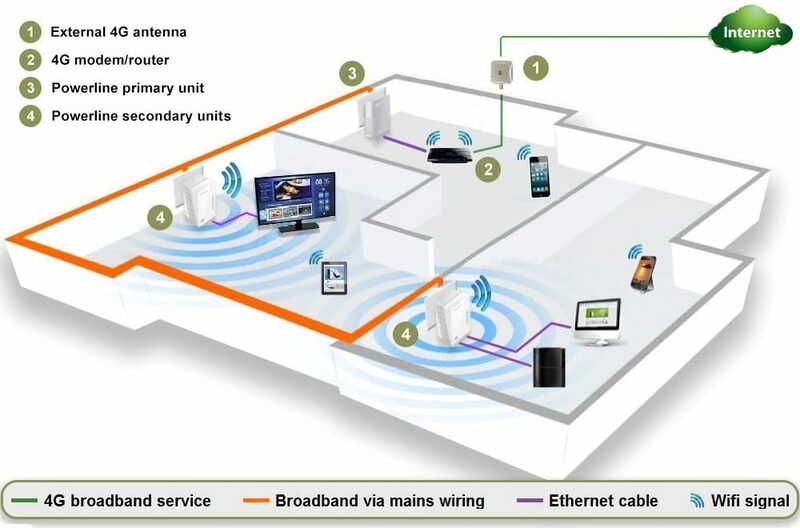 Easy to install and cost-effective solutions to extend WiFi range around your home or business. At 4G Internet, we pride ourselves on delivering fast and robust 4G broadband to your home or business. However you may find, depending on the size and/or construction of your property combined with the necessary positioning of your 4G modem / WiFi router, that it's difficult to get a fast or stable WiFi signal throughout the entirety of your premises. Or you may have a device at the other end of your property that you'd really like to be hardwired into your 4G broadband service via ethernet. If so - don't worry! We have a number of tried and tested cost-effective solutions from the market leaders to resolve such issues for you. The simplest way of extending broadband range around your home is to invest in a TP Link Wireless Access Point. This WiFi access point will need to be connected to your 4G modem/router via standard ethernet cable and should be positioned midway between your modem/router and the area where you want better WiFi signal. The Wireless Access Point gets its broadband connection from the ethernet cable plugged into your 4G Modem/Router - and then broadcasts WiFi from its location. It's effectively a second WiFi point which will then deliver much better wireless connectivity starting from wherever it's located. 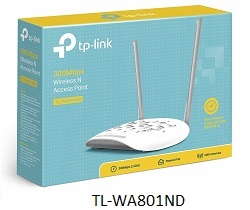 The TP Link WA801ND requires no set up - just plug it in, connect it up and off you go - and at only £30 inc VAT is an extremely cost-effective way of dramatically extending the WiFi range within your premises. 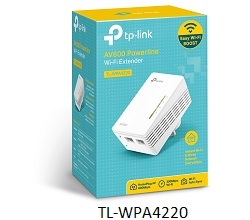 For an even smarter alternative that avoids the need to run ethernet cable around your premises, why not take a look at TP Link's AV600 Powerline Adapters with WiFi Boost? These very clever little kits do two separate and extremely useful things. First off, the AV600s use your property's electricity mains wiring to distribute your broadband service... yes, really! Just pop the primary AV600 unit into a standard plug socket next to your 4G Modem/Router and connect it via the supplied ethernet cable. Then plug the secondary adapter unit into any other plug socket within your property (providing it's on the same mains circuit), switch on, push a button to automatically pair the two units (you only have to do this once) - and then wherever you've put that adapter unit, you'll have two ethernet sockets available to connect into which deliver full speed broadband! So, if your 4G Modem/Router's downstairs in the hall, but you've got a PC in an office at the other side of the house or a smart TV box in an upstairs bedroom, with the AV600 Powerline kits, there's no longer any need to run long network cables around your property! Secondly, the AV600s also offer WiFi boosting. As before, the secondary adapter unit gets its broadband feed from the 4G Modem/Router via your mains electricity wiring - but it then also broadcasts a strong WiFi signal from wherever it is located within your property. So even if you're on the other side of your house with several thick walls between you and your 4G Modem/Router, with an AV600 Powerline Adapter kit, connecting a device wirelessly will be just like you're standing next to the main router! And there's even better news - providing they're all plugged into the same ring main circuit, you can add as many secondary AV600 Powerline adapter units as you like. This means you can have twin ethernet ports and WiFi broadcasting wherever you want within your property - and all without the requirement for any messy cable runs. Do you have a new requirement for an extra ethernet port in an upstairs office or by a smart TV or digital TV box? Or do you need better WiFi connectivity at the far end of your house? It's no problem at all with TP Link Powerline adapters! 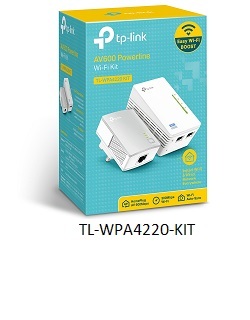 As before, it really could not be any simpler to add one or more secondary Powerline adapter units to any existing TP Link AV600 Powerline set-up. You'll be able to almost instantly expand both wired and wireless broadband connectivity within your premises - it's pretty much plug and go. Founded in 1996, TP-Link is a global provider of reliable networking devices and accessories, involved in all aspects of everyday life. The company is consistently ranked by analyst firm IDC as the No. 1 global provider of WiFi and broadband customer premises equipment, supplying distribution to more than 120 countries and serving hundreds of millions of people worldwide. With a proven heritage of stability, performance and value, TP-Link brings to market a wide portfolio of products to meet a huge variety of networking needs, whether in large corporate, small business or domestic environments. Now, as having good internet connectivity becomes ever more important to us all, the company continues to expand, research and develop today to fulfil and exceed the demands of tomorrow.